Welcome to Dental Care Center of Hollywood! At the Dental Care Center of Hollywood, we care about people, not just teeth. We strive to deliver outstanding dentistry in a caring way. We use the most current and efficient techniques and materials that result in long-lasting and beautiful smiles. Dr. Hans Sperling has been practicing dentistry for 25 years and is committed to providing those living and working in Hollywood, FL with quality oral health care. If you are looking for a dental practice that focuses on compassion, professionalism, and affordability, call us today to schedule an appointment. From the moment you arrive at the Dental Care Center of Hollywood, our dedicated team ensures you feel comfortable and right at home. After listening to the patient and their needs and concerns, we formulate a specific plan unique to each individual. We also provide a detailed explanation of what to expect during every appointment. We utilize digital X-rays, which reduce patient exposure, as well as cone beam imaging to create a 3D model of your teeth. Dr. Sperling can also use an intraoral camera well as models and drawings as visual aids to help patients thoroughly understand what is going on in their mouths. Dr. Sperling truly believes taking a caring approach includes finding ways to make visits as efficient as possible. By incorporating the latest advances in modern dentistry, he is able to offer the most up-to-date and proven treatment. Our Hollywood practice features digital imaging, including CBCT X-rays that capture a 3D image and precisely guide intricate procedures such as dental implant placement. For added convenience, our office is equipped with CEREC technology, so we can create and customize restorations in-house and in one visit for crowns delivered on the same day. Dr. Sperling and the friendly staff at the Dental Care Center of Hollywood are proud to provide patients with a caring and modernized approach to their oral health care. If you are looking for a dentist who offers comprehensive and efficient treatment, contact us today about setting up your first appointment. Hollywood, FL Dentist, Dr. Hans Sperling is a dental professional dedicated to General, Family & Cosmetic Dentistry such as Dental Exams, Cleanings, X-rays, Fluoride, Dental Makeovers, Teeth Whitening, Veneers, Crowns, & more. 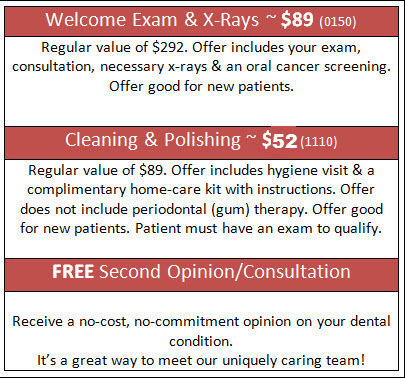 Please come and visit Dental Care Center of Hollywood in Broward County, Florida.